Contact Us | Best Lawyers Serving The Injured in Missouri and Illinois. Schlapprizzi Attorneys at law are highly awarded and recognized Personal Injury Attorney in Missouri and Illinois. They work hard for those who rely on them for help. Our business has an A+ rating with the Better Business Bureau because we care about providing the best service for our clients. Best Lawyers is the only purely peer review guide to legal professionals and they include us in their listing. The U.S. News and World Reports rank Schlapprizzi Attorneys at law as one of the Best Law Firms in the United States. Expertise ranks Schlapprizzi Attorneys at law in their Top 18 Personal Injury Lawyers serving St. Louis. The criteria of Expertise is based on Reputation, Credibility, Experience, Availability, and Professionalism. Don, Craig and Toni Schlapprizzi are all listed in the Million Dollar Advocate Forum’s Top Trial Lawyers in America. Super Lawyers recognizes our attorneys because we have attained a high-degree of peer recognition and professional achievement. The National Trial Lawyers rates Schlapprizzi Attorneys at law in the Top 100. These are only some of the most recent accolades we have received, besides these, Don Schlapprizzi has accumulated a mountain of honors, awards, and recognition that go back decades of practicing law. 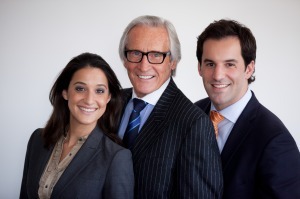 Don, Craig and Toni Schlapprizzi are highly acclaimed attorneys wanting to work for you.